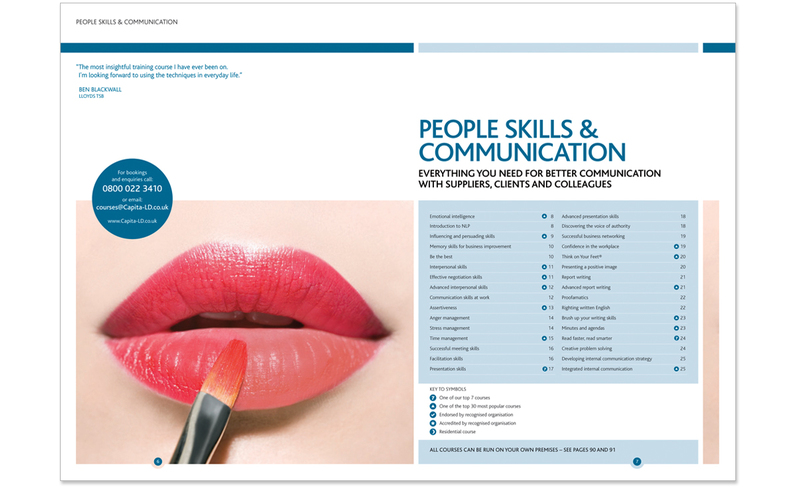 Training course directory: Brand positioning workshop, photography and training directory design. Responsible for: brand workshop facilitation, copywriter, art director and creative director. 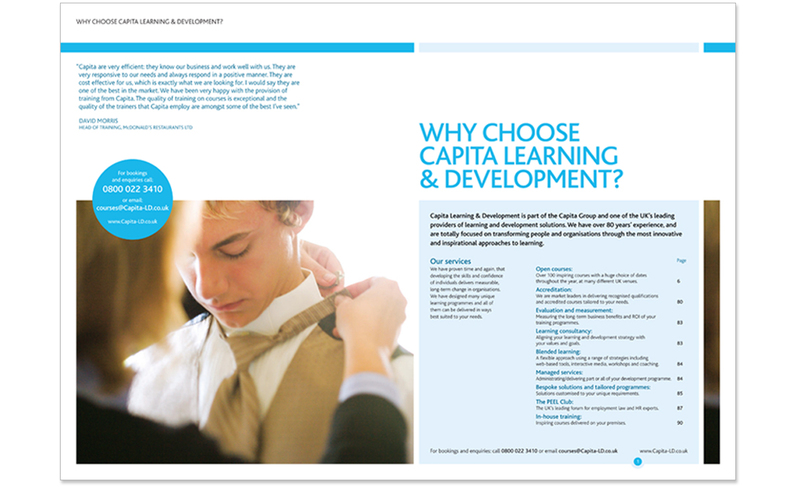 Capita L&D – Brand workshop facilitation, copywriter and art director. 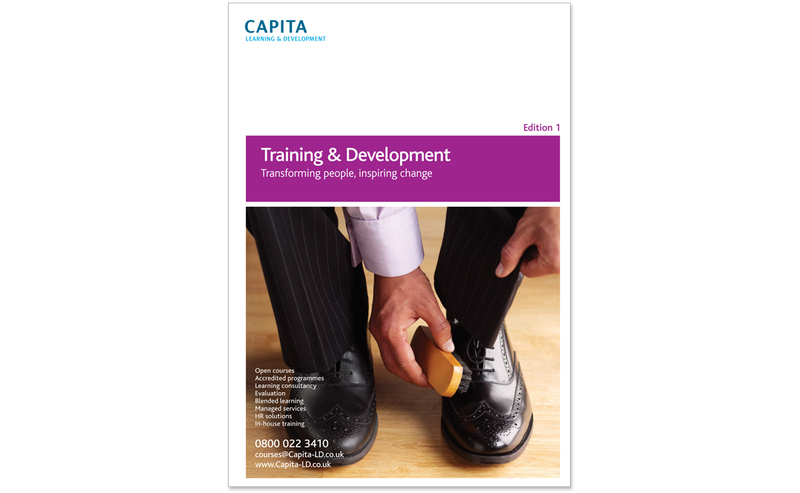 Capita Learning and Development were losing ground to other corporate training providers. 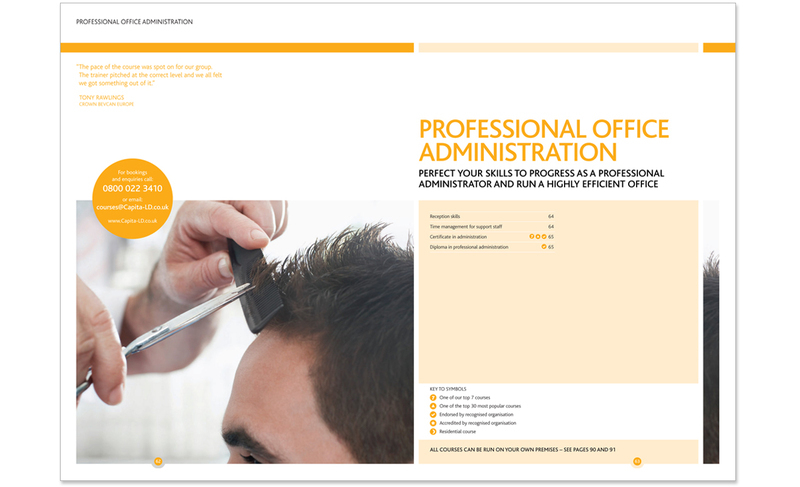 Their offering was comprehensive and well received by training attendees, but their directories and marketing materials didn’t present them in the best light. The first step was to agree an overall brand positioning, so I wrote and facilitated a brand workshop that was run with members of Capita’s senior management and marketing team. The findings from the session were used to determine a clear creative brief and steer any design decisions throughout the project. Along with brand workshop facilitation, I art directed a three-day photoshoot and edited the client’s draft copy for the entire directory to ensure consistent and appropriate tone of voice. 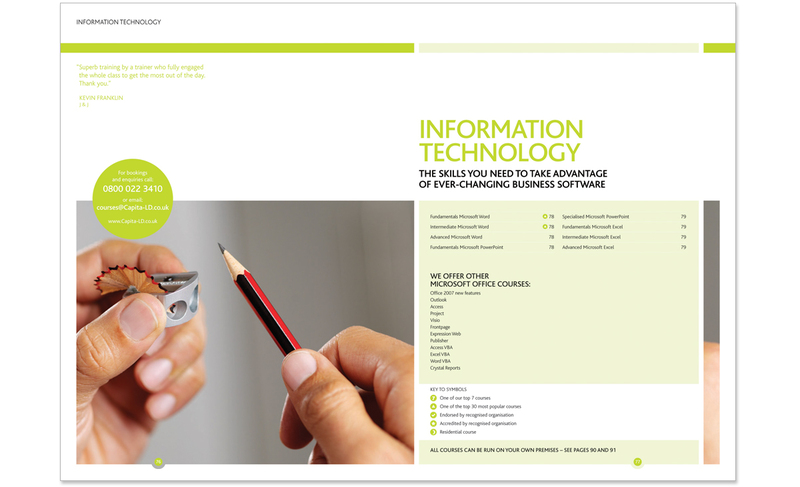 I was also creative director on the project, overseeing design through to final artwork. 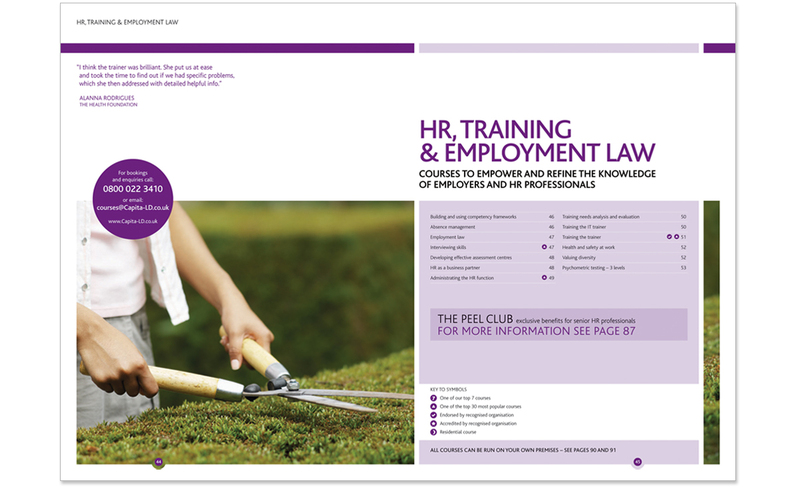 Training course directory and promotional materials. Brand workshop facilitation, copywriter, art director and creative director. For another design for print project, check out this work for Food for Thought.